Welcome to the Hearth and Soul Hop Link Party for the week of June 6! We invite you to share all family-friendly posts as well as, of course, food from the hearth to feed your soul. How are things in your corner of the world? The sun has finally come out again here in the south of England and we are enjoying a bit of summer weather. Here’s hoping it lasts! Last week I shared a delicious, family friendly Cod with Mushroom and Spinach Sauce recipe that even reluctant fish eaters will love. 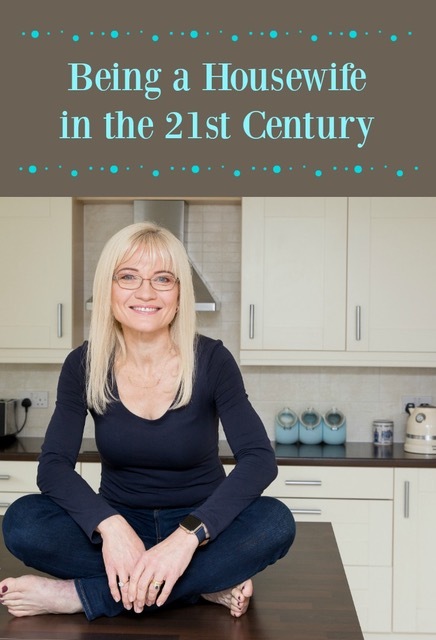 I also shared a guest post from Deborah Heath of Designs by Deborah with some great hints and tips for How To Display Artwork and Paintings in Your Home. Did you know that the Hearth and Soul Hop also has a Facebook page where we feature your posts? We’d love for you to visit and give us a like! We’d love for you to share the hop on social media or share a link back in your post. Our Hearth and Soul Blog Hop badge code is in the sidebar. April, I hit the button before I selected and cropped a photo, but anyway … Since I posted this crunchy little regional German cookie Thursday, NO one has ever heard of it! A rarity! I’m excited to see your Little German Tea Cookies – they look really pretty! I love recipes with a story behind them. Thank you for visiting and sharing, Jean. Have a lovely week! Thank you so much, Shirley! I’m not a huge fan of spinach either but I love it in this sauce so hopefully Mr. GFE will too 🙂 I hope you have a lovely week! Your Cod dish looks awesome, we would really love this recipe. Hope you are having a great week and thanks so much for the party! Thank you so much, Miz Helen! My week is going really well – I hope yours is too! Yes, we had warm weather even up in the mountains in NY. Unheard of… but beautiful. Thanks for the party. I’m so glad you are getting some nicer weather, Diane! Thank you for visiting and sharing. Thanks for the party April! I am going to try that cod as I am not a fish lover and i know it is healthy for me. I’ll let you know how that turns out. Best wishes for tasty dishes! 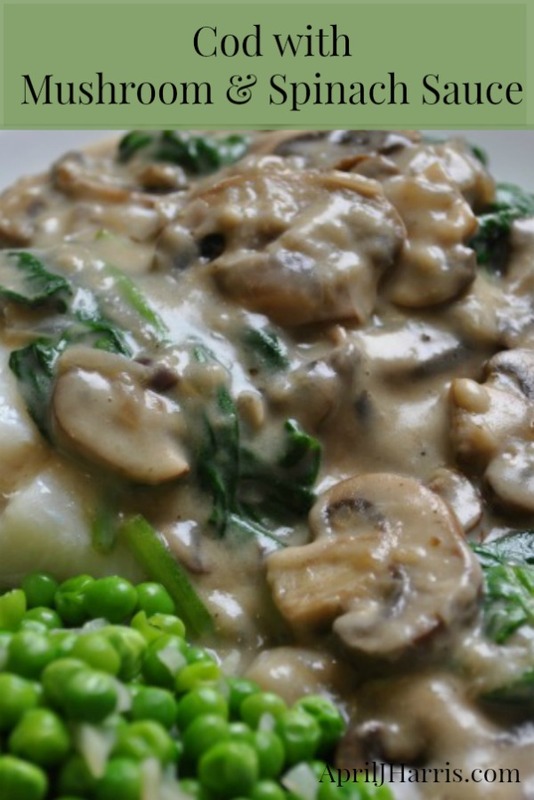 The mushroom spinach sauce over cod looks so delicious! Hi April, I hope you have a great week!! Hope it cools down for you Leigh. Thank you for visiting and sharing! Thank you for hosting, April. Have a lovely day. It’s a pleasure, Hadia. I hope you have a lovely day too. Thank you for visiting and sharing your delicious recipes! Hey April thank you for hosting, happy your back home safe and sound, I know you enjoyed the visit to the states. And yes we are experiencing an early summer also. So glad I came back, April, lots of great links have been added! Thank you for hosting. I hope you have a wonderful summery weekend. I’m glad you came back too, Jean! Thank you for visiting 🙂 Have a lovely weekend! Hi April…I am stopping by this week’s party with my newest confection, Swirled Cheesecake Brownies which are ultra-creamy and a chocoholic’s dream! I also brought by my Yo’ Fruity Crunch Sundaes which are the perfect summer “cooking” project for little hands. Thanks to you and Swathi for hosting another smashing Hearth and Soul Hop as well as for all your incredible support!